Get outside and grow with some child-friendly fun with gardening! 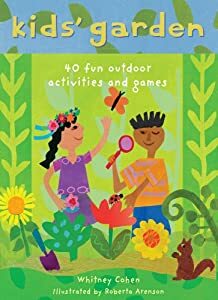 Kids Garden includes forty activities and games and an eight-page booklet that contains information on gardening tools, year-round plant care and garden safety. These step-by-step instructions are enhanced by colorful collage artwork on each double-sided card and they create a fun and easy way for budding green-thumbs to plant, investigate, learn and experiment.